Shaving with a fresh razor blade feels amazing. But razors are unnecessarily expensive so we suffer with the same worn out blade for weeks at a time. But with Dollar Shave Club you’ll get new razors for as little as $3 a month, shipping included, so you can afford to change blades whenever you want. Each plan includes a free handle in the first shipment, and replacement blades are delivered every month, or every other month. Plus, you can easily change your razor type, pause deliveries, or cancel anytime. And they have exclusive grooming products like Dr. Carver’s Easy Shave Butter and Post Shave Moisturizer, as well as One Wipe Charlies, the peppermint buttwipes for men. Stop suffering with a scummy old razor. 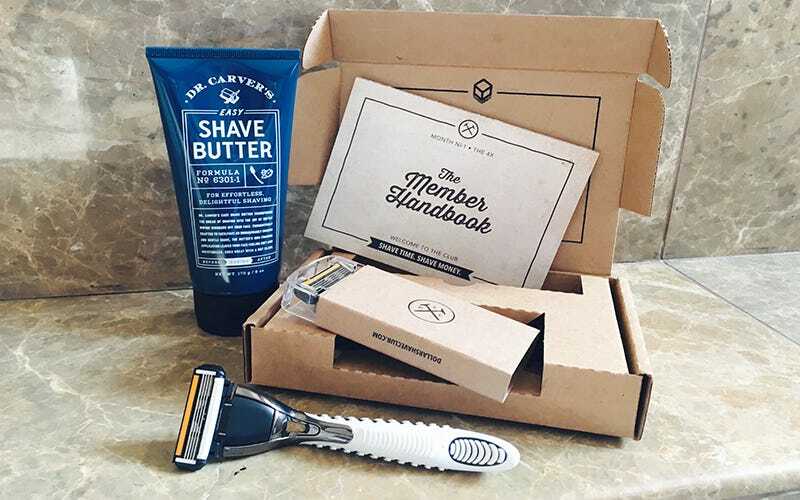 Try Dollar Shave Club, pay as little as $3 per month, shipping included, and enjoy a fresh blade every time you shave.